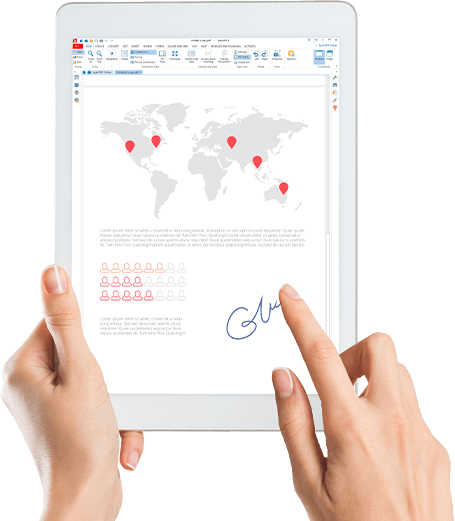 The full-featured PDF solution that allows you to create, convert and edit your documents on virtually any device! Access your product from our desktop or web application any time you want! Save your documents directly to your favorite cloud storage system! NEW! Batch processes help you save time by processing multiple files at once. 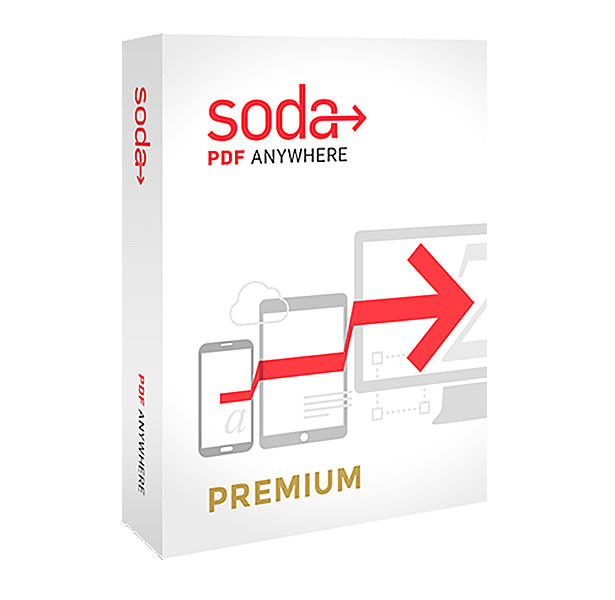 Soda PDF allows you to perform all your PDF tasks and is available as a desktop application and directly in your web browse. Our plans allow you to access the online version of Soda PDF from virtually any device. Work on the go from your smart phone, tablet or desktop! 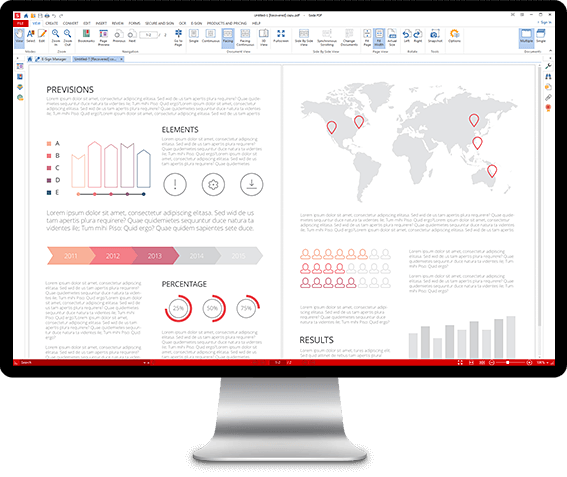 Enjoy painless collaboration with Soda PDF's review tools. Add comments or replies, highlight or strike through text and more! Send your file out by email directly from Soda PDF, or compress it first for easy sharing. Soda PDF allows you to modify the content and structure of your documents by editing or adding text, links, images, page marks or pages to your documents. You can also review a document with comments and annotations, or create a fillable form by adding some fields! Feel free to set password permissions on your documents, including permission to view, edit or print the document. Sign your document with your own customizable signature appearance and certificate to claim ownership, or verify that you have interacted with the document. Open and view any PDF file, including .CBZ and .CBR file formats, which can be viewed in 3D mode for the best experience! 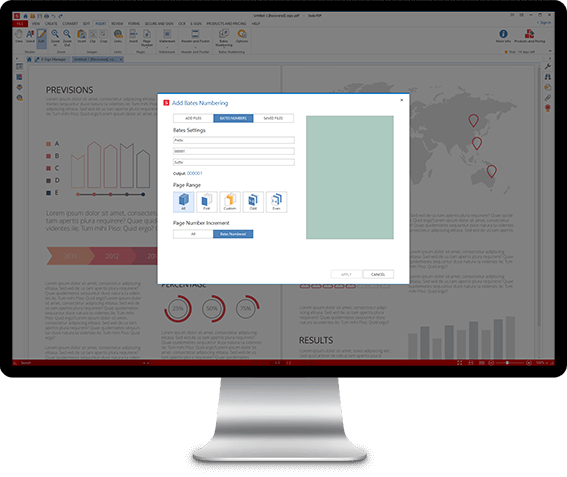 Create a PDF document from almost any file type in one action! Just drag your document into Soda PDF to create your PDF file. 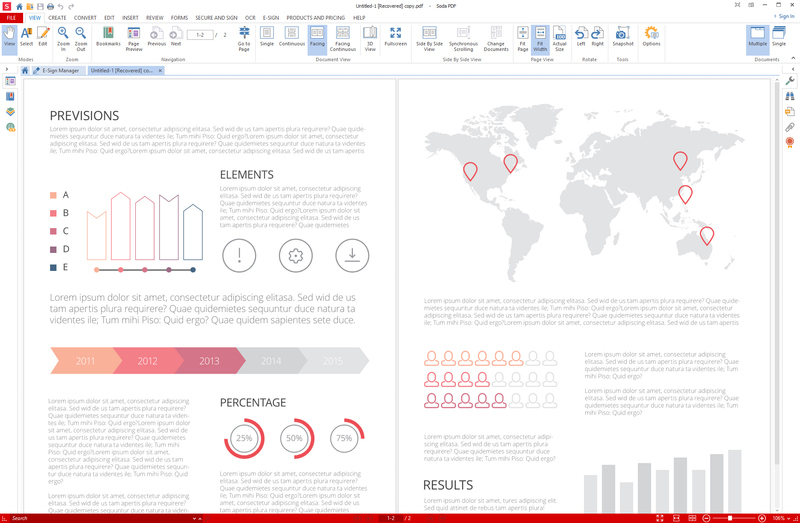 Convert PDF files to Word, PowerPoint, Excel formats with no content loss! Save time with Batch Convert - Just choose your files and the format, Soda PDF takes care of the rest! Edit your documents by adding or changing text. 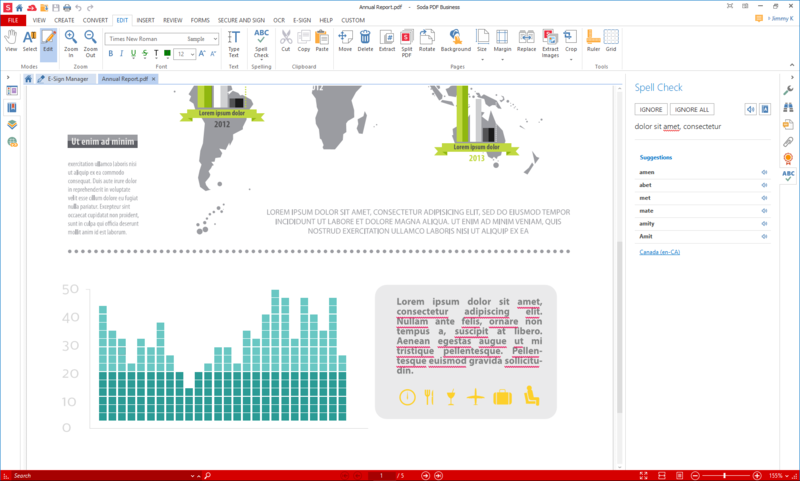 You can copy, cut, or paste text in your documents or add new text directly to the document by creating a new text box. You can also modify the text properties such as font, size and color. Turn your PDF document into a fillable form using our forms tool with text fields, check boxes, radio buttons and combo boxes. All form fields have customizable appearance properties. Create a submit button and use it to send the form by email or directly to a server! "Batch processing is now available for: Print (new), Create, Convert, Crop (new), Watermark (new), Header and Footer (new), Bates, Numbering, Password Security (new), OCR, Reverse Crop (new), Remove Watermark (new), Remove Header and Footer (new), Remove Bates Numbering"
Internet connection is required for version updates, activation of your application and account, to download paid-for features, and for Soda PDF Online Services.